Authors In Bloom Giveaway Hop! Welcome! 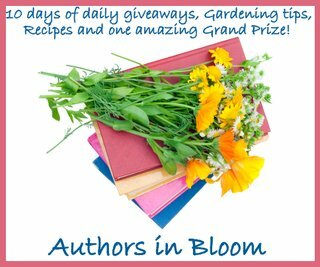 I’m tickled pink to be a part of the fabulous Authors in Bloom Giveaway Hop, 10 days of giveaways, gardening tips, recipes and one amazing Grand prize–a Kindle or Nook (winner’s choice) plus a $25 gift certificate toward books. In order to enter, you must collect all the phrases you’ll find on the participating blogs, and put them together to submit on the entry form you’ll find at the home blog. Here’s a link to find the other authors on the hop. Line 65: Reach for the sky. 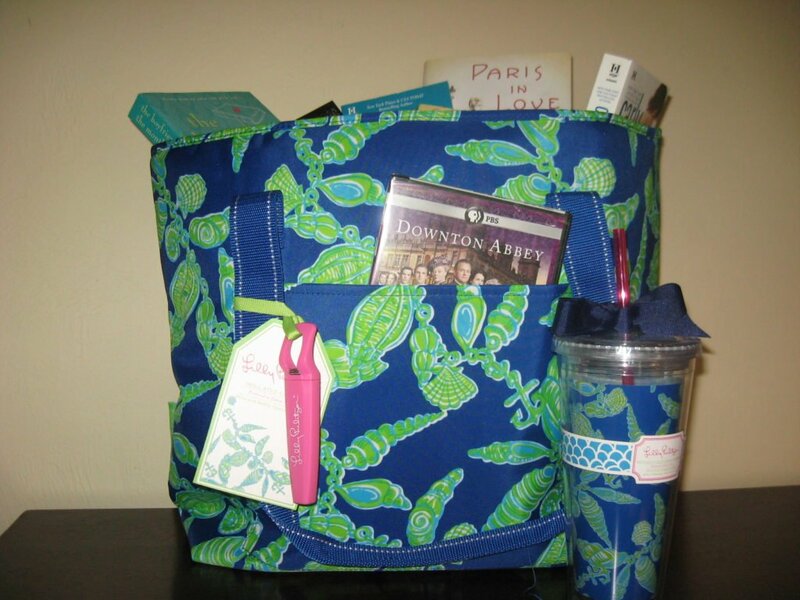 In addition, I’ll be giving away my own prize, a Lilly Pulitzer Insulated cooler and matching cold drink tumbler. The cooler is full of books (all great beach reading) and the Season One DVD of my favorite TV series, Downton Abbey. Here are some of the books you’ll find inside: Paris in Love by Eloisa James, Love Me if You Dare and Hot Item by Carly Phillips, Too Hot to Touch by Louisa Edwards, Make Her Pay by Roxanne St. Claire, Blood Rights by Kristen Painter and The Boyfriend of the Month Club, by yours truly. All you have to do to enter to win my giveaway is leave a comment by April 20th here on my blog telling me you want to be entered. It’s that simple. I’ll let the random generator pick a winner and I’ll announce it right here on my blog, so check back on April 20th to see if you’ve won. Only US entries, please. Since I’m a much better cook than gardener, I’ve decided to share one my favorite (and most asked for) recipes. 1-2 heads of Nappa Cabbage, finely chopped. Combine with 1 bunch of green onions, also finely chopped. Place in a large container. Cover and refrigerate. Melt 1/2 stick butter in a large frying pan over medium heat. Take 2 packages of Ramen noodles (any flavor). While package is still sealed take a rolling pin and sma sh the ramen noodles, crushing them into bite sized pieces. Discard seasoning packet and add smashed ramen noodles into the frying pan. Add 1 bag slivered almonds, plus one small jar of sesame seeds. Saute noodles, almonds and seeds until lightly browned (about 15 minutes). Let cool, then place in a sealed container and refrigerate. Dressing: 1 cup canola oil, 1/2 cup plain rice vinegar, 1/4 cup soy sauce plus 1/4 cup sugar. Mix well and refrigerate. Let the cabbage mixture, noodle mixture and dressing all cool for at least 2-4 hours or overnight. When ready to serve, add the noodle mixture into the cabbage and toss with dressing (I usually only use about 1/2- 3/4 of the dressing) and serve immediately. Enjoy and best of luck with the giveaways! Always enjoy you books & would love to win this prize. All my friends keep telling me about “Downton Abbey”; I need to find out what the fuss is about. And that’s just for starters! Not to mention I’m a huge fan. 🙂 Thanks for the giveaway! Hi Pam 🙂 Downton Abbey is absolutely fantastic. Best of luck in the giveaway! Hi YJ, thanks for entering! Ooh, I’m a vegetarian and this looks yummy. Hi Brenda, a GBC get together would be fabulous, wouldn’t it? Thanks for entering the contest and tweeting about it! Enter me, please! What a great haul you’ve got there! Please enter me! Thanks for doing the blog hop~~~I’m completely enjoying this! Tobi, I’m a huge Buzz Lightyear fan. And you’re absolutely right. Very Buzzish! Hi Judith, thanks for entering! Savannah, I already have my air conditioner on down here in north Florida:) Not much of a winter for us this year. Thanks for commenting and entering! Best of luck. I love spring, don’t you? The flowers, the start of fresh vegetables at the farmers’ market, salad days! Looks a fun blog hop. Have fun! Hi Cyndi, thanks for entering! What a unique idea w/ all the blogs and a delightful giveaway of yours! Happy Spring, Maria and thanks for offering! Hi! I’m new to your blog (and excited to read your books for the first time!) . What a great giveaway–and the recipe is going on my “must make!” list! Happy Spring! Hi Stephanie, thanks for entering! Enter me, please! What a great prize. I really love Downton Abbey, but I haven’t bought it yet. Krista, LOVE Downton Abbey. Can’t wait for Season 3. Thanks for entering! What a great contest and thanks for the recipe! Hi Kwana, thanks for stopping by. And thanks for the retweets! Thanks for sharing your fabulous “signature” recipe! Hi Kendra, thanks for entering! I would love to be entered! I read the excerpt from your book and loved it. I agree that the cabbage soup diet never works. Plus, after two days, you want to gag every time you heat it up. LOL. I love that she feels cursed. Haven’t we all felt that way at certain points in our lives? Thanks for participating in the blog hop. It’s been so much fun learning about new authors. Thanks. Thanks for sharing your recipe! Sounds really good. I would love to win this prize. I haven’t seen Downtown Abbey, but have heard so many amazing things. (We don’t have cable, satellite, or any such thing.) I love the freedom that comes with that. Hi Mel, thanks for entering! Thanks for taking part in the hop! I’m really enjoying meeting all of these new authors! 🙂 Thanks for the great giveaway! Hi Lisa, you’re welcome, and thanks for entering! Hi Desiree, thanks for entering! Enter me please! Thanks for the awesome giveaway! Hi Natasha, thanks for entering! The blog hop has been great fun! I’m finding authors and compiling a long to be read list! Please enter me into the contest. Samantha, glad you’re enjoying the blog hop 🙂 Thanks for entering! This is a great recipe-I’ve taken it to several luncheons. I am glad for these kinds of contests so I can discover new authors to read. I have added you to my list of TBR authors. Hi Joye 🙂 Yep, Asian Salad is a surefire winner to take to luncheons, potlucks,etc. Whenever I make it, I always have several requests for the recipe. Thanks for commenting and entering my giveaway! Thanks for the giveaway and the recipe. My grandmother had a similar salad using chinese noodles. Hi Amy, there are several variations of this recipe that I’ve tried and they are all fantastic. Thanks for commenting and best of luck with the give away! That is an amazing prize! I had no idea that they made cooler bags. Very cool! I’d love to be entered and thanks for hosting such an awesome giveaway. Hi Sabrina, thanks for entering! Hi Maria…Can’t wait to have you speak to the group! So excited! I would love to be entered in this fab giveaway! Hi Marley, thanks for entering 🙂 I’m looking forward to coming to Lake City next month! Please enter me in your giveaway, it looks awesome – thanks! Hi Melissa, I’m so glad you’re enjoying my book. Thanks for letting me know and for entering my contest! Please enter me! I love your giveaway!!! Thank you for taking part in the blog,I’ve had so much fun. Hi Cathy, thanks for entering! Love your fabulous bag of delights, Maria!! Thank you for the fun hop and for the awesome giveaway! Please enter me in the contest. Thanks for sharing the recipe and for the giveaway. Hi Jacki, thanks for entering. Glad you like the recipe! 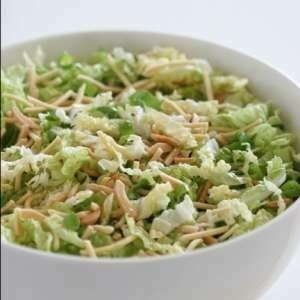 Thanks for the recipe for the Asian Salad. I love it!! Can’t wait for your new book. BTW Love the give away bag. Hey Beth, thanks for entering! 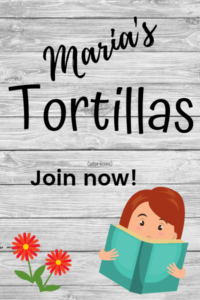 Love your books and would LOVE to win!! The new site looks great, Maria! I’d love to be enter for the giveaway…thanks so much! Sarah, you squeezed in by the hair of your chinny chinny chin. Best of luck! I’m not above begging over this prize. Firstly, I am huge Downtown Abbey fan and am in serious withdrawal so I would LOVE to win the first season. Secondly, I am looking forward to Paris In Love and can’t afford it, so winning that would be great, as would your book The Boyfriend of the Month Club and all the other great books you have included! I haven’t had the chance to read any of them, so I would be set for awhile. I have multiple chronic illnesses and am having a terrible flare of several things. I live with and care for my elderly mom, who just got released from the hospital and needs a lot of care. It is a very trying time and this would not only be a big pick me up emotionally, but a much needed help to both of us. We are avid readers, so we would share the books. I have been telling Mom about Downtown Abbey and this way she could watch it as well. Thanks so much for having this giveaway, it is very nice of you to offer this to your readers. thank you & please enter me!! !